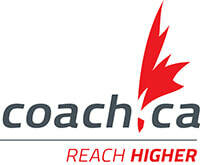 Pointe-Claire Canoe Kayak Club is committed to providing the coaches, athletes and parents quality resources on various topics that affect them directly. Clip #1: How can you be well prepared before a competition? Mental and physical preparation. Clip #2: How can you best optimize, as an athlete, your mental, energy and physical recovery between events at a competition? Clip #3: How can you best optimize your nights’ sleep in order to regain all your energy for the next day? Tips to benefit from a restorative sleep before, during, and after a competition.
" 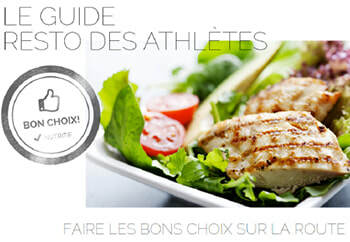 Ce site a pour but de faciliter la tâche aux athlètes quand vient le temps de faire les bons choix de repas au restaurant, lors des transports ou à l’hôtel, bref, loin d'une cuisine. Simple et accessible à tous, cet outil est une première étape pour conscientiser les athlètes à une alimentation saine et créer un intérêt à s'éduquer sur le sujet. Vous pourrez consulter les menus des 20 restaurants sélectionnés en Amérique du Nord. Une trousse de dépannage est également disponible avec des conseils de collations. Bon appétit... et bonnes performances! " 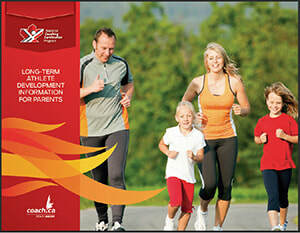 "In Canadian sport, experts have identified seven stages of development, each with its own physical, mental, emotional, and cognitive characteristics. This is our Long-Term Athlete Development (LTAD) model, and it’s the basis for the optimal training and competition kids need to enjoy sport the most and perform their best." Click here to read more (PDF). Fuel for Fun - Healthy Snacks for Active Kids! • Model food choices that complement healthy exercise and good sportsmanship. "You've been training hard, you're mentally ready, your equipment is tuned-up, and you have one last item to think about – what are you going to eat on your competition day? For most athletes their day-to-day training diet should be similar to their day of competing, however, there can be challenges when it comes to competition nutrition." "​We often hear athletes declare that they’re hungry. For some it could be hourly, while for others it’s only close to meal times. Because athletes typically have more muscle mass than inactive individuals, they tend to have a high metabolism, which causes them to need more calories and to be hungry often. This is where snacks come in." ​© 2018 Club de canoë kayak de Pointe-Claire. Tous droits réservés / All rights reserved.